The DC112a is a high performance dosimeter perfectly adapted to the regulation for health & safety requirements regarding the exposure of workers to the risks arising from noise. 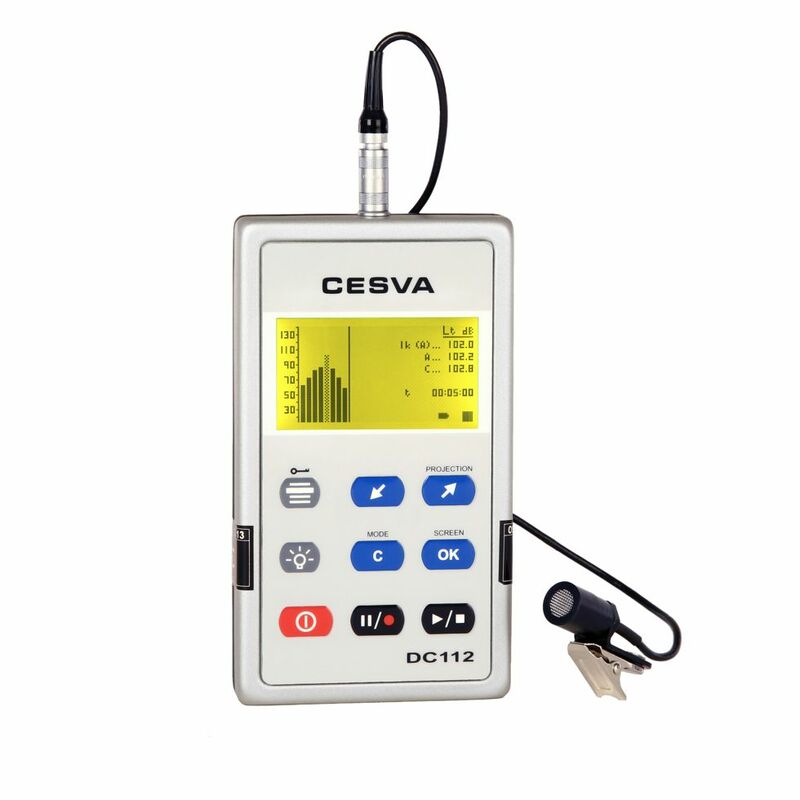 The DC112a enables users to simultaneously measure all the parameters needed to assess the levels of noise to which workers are exposed (SNR, HML and Octaves). Besides measuring the equivalent level with A and C frequency weightings [ LAt, LCt ] (SNR and HML method), the DC112a simultaneously carries out real time frequency analysis, with or without a frequency weighting, and by octave bands from 63 Hz to 8 kHz (Octave method). Peak Level with C frequency weighting [LCpeak] is also available. 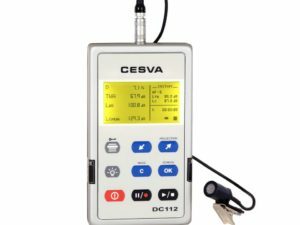 The DC112 enables users to assess and measure exposure to noise and produce data needed to inform and train workers about significance and potential risks arising from the results of the measurement and assessment. The difference between the DC112a and DC112k models is the additional capability of DC112a to carry out real time frequency analysis, with or without a frequency weighting, and by octave bands from 63 Hz to 8 kHz. The model DC112k can be converted into a DC112a with an additional purchase of the octave band module. Measurement of noise according to OSHA, MSHA, NIOSH, ACGIH, DoD, etc. CAPTURE Studio is a comprehensive software application that allows users to configure all the parameters of the instrument on just one screen, retrieve & display data from the instrument in real time (increasing the capacity of the registers because it is limited by the available memory of the PC), download registers from the instrument memory to a PC, erase the instrument memory (so the instrument will be empty & so you will have the full capacity to save the new measurements), display the data files graphically and numerically, convert them into different formats (.txt, .xls, .mdb), copy the graphic and numeric information supplied by the software (to create personalized reports) and save the files in its own *.ccf format (which then cannot be changed and guarantees their total integrity and legality).